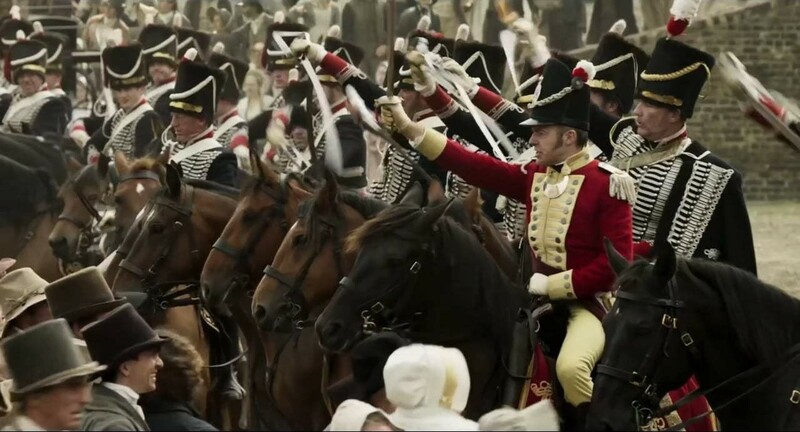 Historical drama to mark the 200th anniversary of the Peterloo Massacre in Manchester, written & directed by Mike Leigh. On the 16th August 1819 the huge open area around what's now St Peter's Square, Manchester, played host to an outrage against over 60,000 peaceful pro-democracy and anti-poverty protesters; an event which became known as The Peterloo Massacre. An estimated 18 people, including four women and a child, died from sabre cuts and trampling. Nearly 700 men, women and children received extremely serious injuries. All in the name of liberty and freedom from poverty. The Massacre occurred during a period of immense political tension and mass protests. Fewer than 2% of the population had the vote, and hunger was rife with the disastrous corn laws making bread unaffordable. Acclaimed director Mike Leigh (Mr Turner, Happy Go Lucky & Vera Drake) writes and directs this authentic retelling of one of the most important moments in British history, that sparked major Parliamentary reform. Director: Mike Leigh Actors: Rory Kinnear, Maxine Peak, Neil Bell & Philip Jackson.